The second video of the eighth module is now available, in which we continue showing how to create point layers from a table. 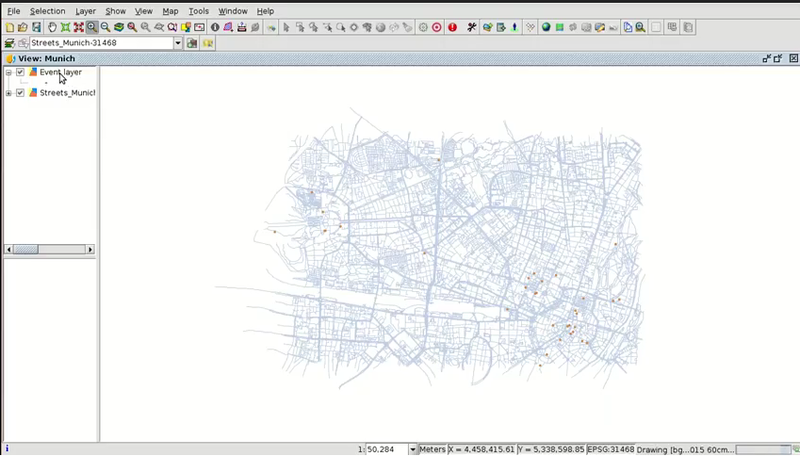 In this case we will create an event layer, that means, a point shapefile from a table with coordinates. For example, the table can be composed of geographic coordinates that we could get from a topography survey with GPS. This functionality is another way to generate our cartography in a town hall, in this case when we only have the coordinates of the points. This entry was posted in english, gvSIG Desktop, training and tagged Alphanumeric information, Attribute table, city council, event layer, municipality management. Bookmark the permalink.